Help Desk classification is a primary method for Help Desk Agents to set correct incident priority levels. High priority incident tickets can be quickly identified by updating ticket categories by business services. When the Help Desk Agent applies a ticket classification to an incident ticket which is associated with a mission-critical service, the ticket priority can be raised to a higher incident priority. Raising the incident priority can be accomplished manually by noting ticket categories associated with mission-critical services. Some Help Desk ticketing systems have configuration settings that can weight certain ticket categories higher or lower in incident priority automatically. Incident ticket priority levels are a matrix of impact and urgency. The impact is how much does the incident affect the service and the business ability to function. Urgency is how quickly the business needs to have the service impacting incident resolved. By setting incident priorities to tickets, resources can focus on the most urgent issues with the largest impact on the business first. 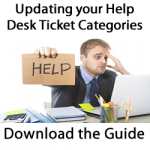 A Help Desk ticket classification scheme can be used to put more weight on mission-critical services to ensure the Help Desk Agent assigns the correct priority. An example of this is to define revenue-generating services such as the customer website or order fulfillment system as a critical service. This will prioritize the incident over other incidents such as a malfunctioning printer. The resolver teams will see a priority 1 incident involving the customer website or order fulfillment system and attend to that first before working on the printer. To design your Help Desk ticket categories to help assign incident priority, you must identify your business services. The top tier of your will be those business services. 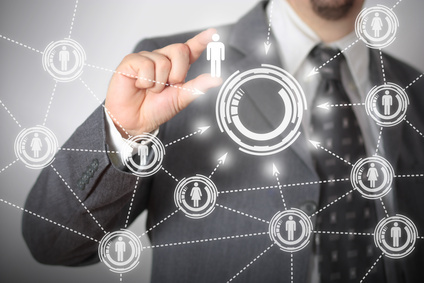 Of the business services, you must further identify the service which is mission critical. To learn more about creating Help Desk ticket categories that drive better incident prioritization download our Create Ticket Categories Easily step-by-step guide. This is a step by step guide based on successful Fortune 500 ticket classification projects. Included are three pre-built ticket classification scheme structures to jump-start your project.